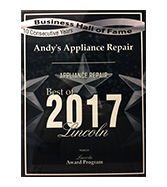 As we’ve highlighted in a few of our previous posts, we at Andy’s Appliance Repair are committed to serving our community. 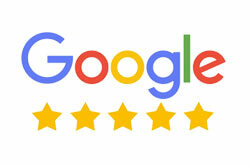 That commitment starts with our unique approach to customer service. Our technicians have over 100 years of combined experience in the appliance repair industry. We set our experienced technicians up for success by providing them with fully equipped service vans, stocked with parts and loaded with all of the requisite tools and specialty equipment needed for today’s advanced appliances. 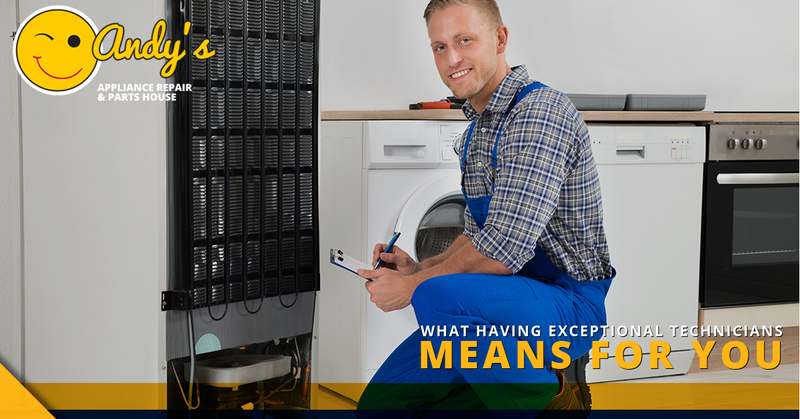 Every technician who comes to your home will be accompanied by Appliance Job Rate Pricing. This setup is specifically designed for Nebraska, so you can be assured that the technician will quote the job fairly and accurately. Our technicians are also certified with both MATTC and M-CAP. In this post, we will talk about these certifications and what that means for you, the customer. We will also discuss in more depth Andy’s Appliance Repair’s unique approach to customer service. We believe that certifications are important, but at the end of the day nothing really replaces good people doing business for good people. That’s what we are committed to doing in both the Lincoln and Omaha regions. Let’s get going! As mentioned above, all of our appliance service technicians are certified with the MATTC. This isn’t any two hour online course, mind you. The testing portion alone consists of five module exams, fourteen video exams, and a final. The program itself is created to provide both a training course and certification “that attests to the professionalism and competency of the technician who completes it”, as the course’s site itself details. Below are the 6 essential components of the course itself. Refrigeration Service Fundamentals – Covers the fundamental concepts about refrigeration theory, in addition to in-depth courses concerning freezers and room air conditioners. Refrigerators and Freezers – Tackling schematic and ladder diagrams, meters and circuits, motors and motor starters, this portion gets even more in-depth. Cooking Equipment – Focus on gas and electric ranges, microwave ovens, and education on properties and application of liquid propane (LP) and natural gas. Laundry and Kitchen Equipment – Encompasses gas and electric dryers, electrical and water systems of automatic washers, and practical information on dishwasher repair, compactors, and disposers. Soft Skill – A helpful section on customer service and communication, specifically related to appliance repair. Our technicians are proud to have passed the “most extensive and comprehensive exam available to appliance technicians today.” With these two appliance service certifications, it is easy to see why we pride ourselves on our industry-leading knowledge and practical ability. At the end of the day, all of this translates to you not having to worry about your technician’s competence. The job will be quoted and done correctly, the first time. We believe in going above and beyond what is expected, because we want to be remembered any time your freezer stops freezing or your ice maker stops…you get it. The point is we make sure we have taken the steps to set our customers up for success with rigid third-party assurances. That way, you don’t have to just take our word for it. 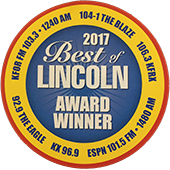 You can see for yourself how we treat our customers in both the Lincoln and Omaha communities! In addition to the certification and memberships we’ve discussed, Andy’s Appliance Repair also belongs to many other organizations, including the United Servicer’s Association and Professional Servicer’s Association. But all the awards and certificates in the world don’t mean a thing if we aren’t committed to hiring quality human beings as technicians. Luckily, we’ve done just that. Check out our Meet Andy’s Technician’s page to check out our full list of names and biographies of all of our high-quality technicians. In fact, if you would like a specific technician to come out to your place, just give us his name when you schedule your appointment. We would be happy to accommodate you in any way we can. 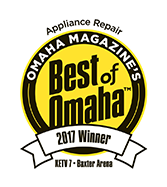 Contact us today at 402-423-2382 (Lincoln), 402-614-8131 (Omaha Metro) or toll-free 866-252-6397 for appliance service and repair or schedule an appointment online quickly and easily. Thanks for reading!